1. Who will be walking around your home? Do you have kids? Pets? Both these will mean that you might want to consider getting something easy to clean for the rooms they will spend the most time in. Muddy paws, pet hair, trodden in biscuits, paint, and maybe even potty training accidents mean that carpet might not be the best option for you right now! If you really want carpet but have pets then perhaps consider tiles and order a few spare to keep to one side; that way any that are grubby beyond saving can be easily replaced when needed. We live in a first floor flat in a house that is over 100 years old. It wasn’t built to be two separate dwellings so there is no strengthened concrete flooring between us and downstairs. Our living room, playroom and bathroom are all above another residential home and it would be a bit cruel of us to have thinner flooring like vinyl or even just wooden flooring with two small kids who hurtle about like over excited puppies! Saying that we do have vinyl in the bathroom; carpet just wouldn’t be viable with the amount of water that gets spilt at bath time! 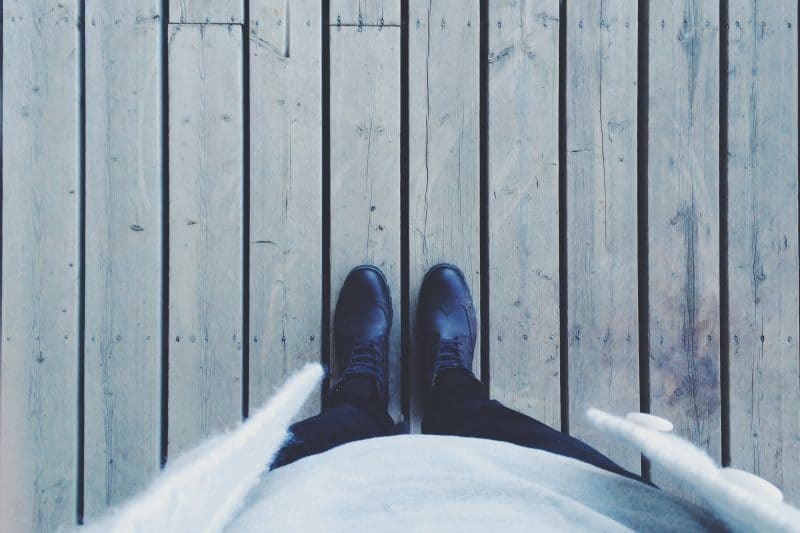 A water resistant floor is a must to avoid damage. If you’re in a flat with downstairs neighbours then choosing a well insulated option to reduce noise for both them and you is a good idea, insulated underlay is definitely a must! 3. How often do you like to clean? Personally I am not a fan of cleaning, I like to supplement my fortnightly steam clean of our kitchen floor with cleaning up immediate spills with babywipes! I love a wipe clean floor, so ‘easy to clean’ ranks high up on my list of priorities. Some flooring requires special cleaning chemicals and tools which is not something I have the time for with two small (and messy) kids! Laminate is ideal for my baby wipe and occasional steam cleaner methods, and you can order laminate flooring samples to compare designs to find the right one for your home. Obviously some flooring options are at the higher end of the price scale, so might be unrealistic within your budget. But it is worth considering the longevity of your flooring as well as the cost it would add to your home if you are planning to sell it. Natural Solid wood flooring always looks really impressive if it’s looked after and means the potential buyer has a great looking floor without needing to do any work, plus they can accessorise with rugs to achieve the style they’re after! Look out for free delivery or bulk discount offers. 5. Who will be fitting it? If you plan to fit your new flooring yourself a mosaic floor with lots of tiny tiles may not be the way forward, or even bigger tiles that need grouting! Many laminate floor planks are easy to slot into place, and vinyl tiles are fairly easy to lay. Our kitchen is a funny shape so we had to spend quite a lot of time with a stanley knife making sure all the edges fit nicely against the skirting and cupboards. Carpet and lino may need a professional to get it looking good, so remember to factor these costs in when deciding what to choose. It’s a good idea to ask local friends and family for recommendations for reliable fitters if this is the route you choose. You can find lots of interior inspiration here if this list has got you thinking about flooring! Collaborative post, all words and opinions are my own. 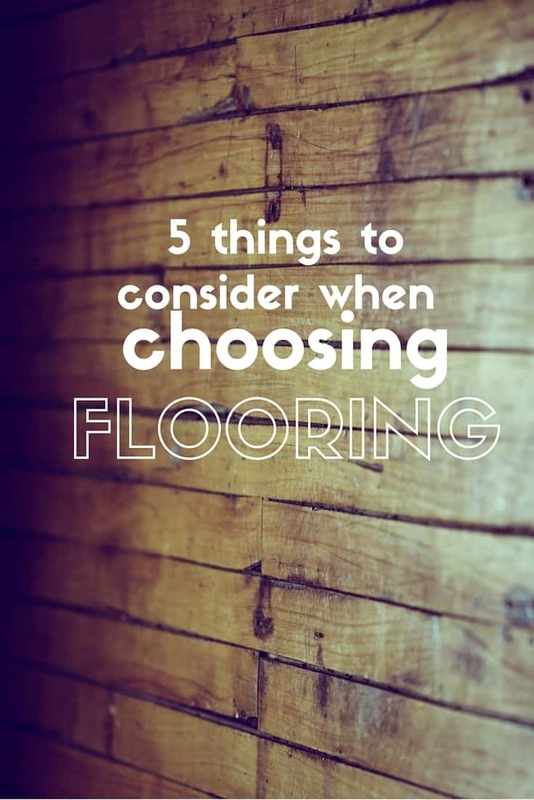 Great things to consider when choosing a new floor. Knowing who all will be moving around on the floors will definitely impact the type you would go for. Thanks for sharing!